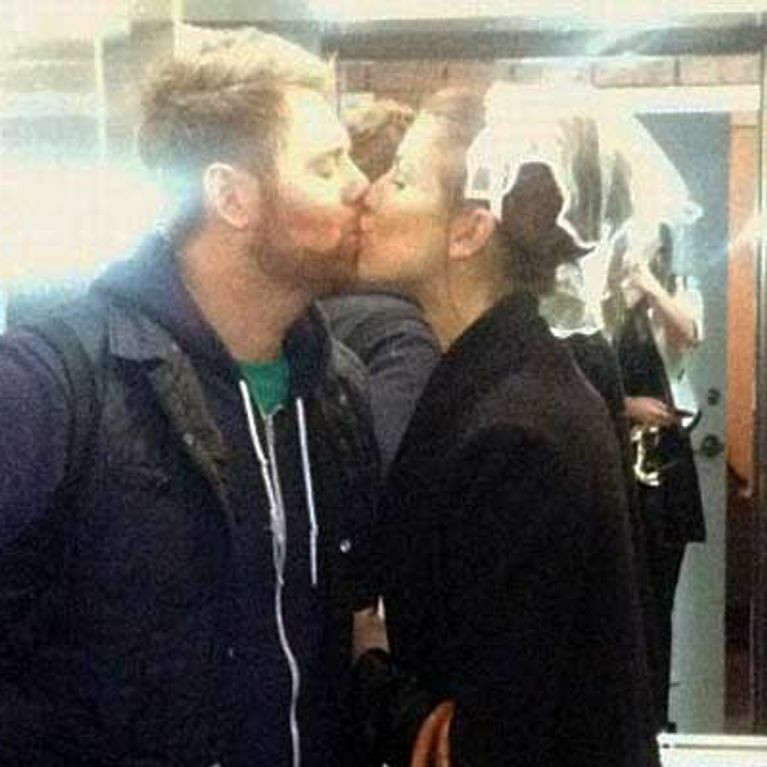 Brian McFadden tied the knot with Irish DJ Vogue Williams this weekend in Italy and couldn’t wait to share the news with his 219,000 Twitter followers. The 32-year-old former Westlife star tweeted: “I'm getting married today. #justsayin”. The pair flew their family and friends from Ireland to the Castello of Vincigliata, a medieval castle in Florence, to witness their wedding on Sunday. The details of the nuptials have been kept quiet, but Brian tweeted a photo of his 11-year-old daughter Molly - from his first marriage to Kerry Katona - and it’s thought that her and her sister Lilly-Sue, nine, acted as flower girls on the big day. Leading up to the ceremony in Florence, Brian could barely contain his excitement at the forthcoming ceremony with his 26-year-old fiancée. Although his famous exes Kerry Katona and Aussie singer Deltra Goodram were not present on his big day, Brian's Australia's Got Talent co-judge Dannii Minogue was among the 80 guests at the Italian wedding. Before flying to Florence, Vogue and Brian made their union official at a Dublin registry office with just a small crowd of friends and family present. Paparazzi photos of the pair’s picturesque wedding from Sunday have already emerged, which will undoubtedly upset the newlyweds, as according to The Irish Sun the wedding was shrouded in secrecy due to a glossy magazine deal. A source told The Irish Sun: “It’s a very private compound which is perfect as all of the details of the magazine deal have been finalised. The security was tight at the wedding, with guards checking each person's invitation as they tried to gain entry to the reception, so the pair will be disappointed to find that their efforts were in vain. Brian and Vogue have been dating since May 2011 and their engagement was announced in January.